Interesting news. 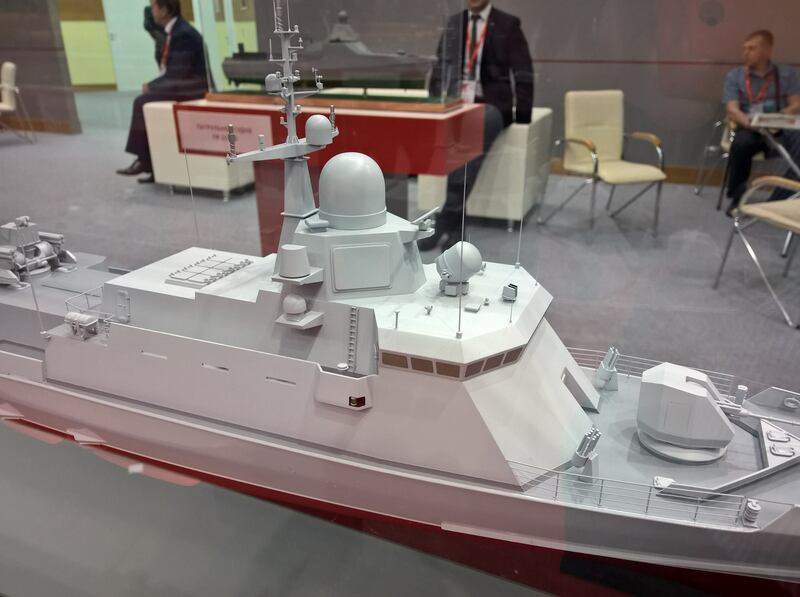 It turned out that Almaz shipyard was also competing for this contract but it went to Zelenodolsk because Yuri Borisov dislikes USC probably due to delays and cost overruns. Gotta say, I do agree with this approach. No reason to reward slackers and parasites with new contracts. They should either stick with large ships (the reason for their existence) or just close shop and let others handle the projects. Both Pella and Zelenodolsk are private companies. AFAIK Kerch is still in the process of rebuilding and modernization of the shipyard, so for now their capabilities are still limited. Interesting construction method where they don't seem to knock out the openings for the bridge windows before assembly on the ship but later. Note that this version has the E suffix which makes it an export model. Differences between domestic and export models are not known yet. More photos of the Model plus other information. Sounds like 12 confirmed orders so far. I'd say Ver 3 is pitched at India with OTO Melara 76mm & Brahmos. Not sure where the Mineral radar is supposed to go? Pozitiv would be in the dome & the Front Dome is blocking it from being in the mast (though the specs don't seem to include Front Dome...) unless they don't mind restricted coverage via the radar panels on the cheeks of the mast? 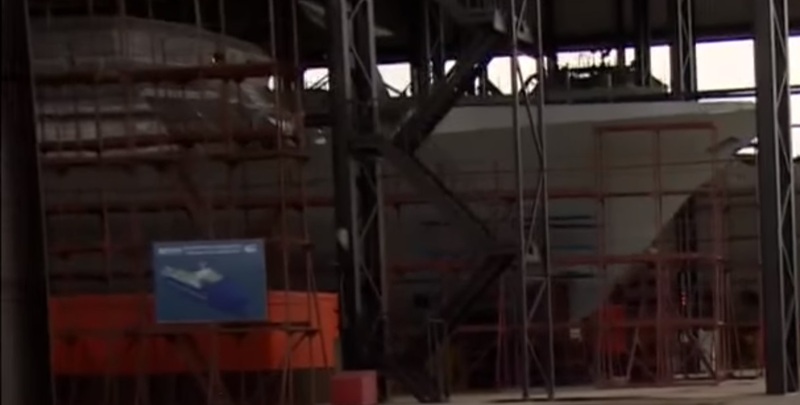 Shipyards have orders for 12 ships to date, expecting an order for another 7 by years end. 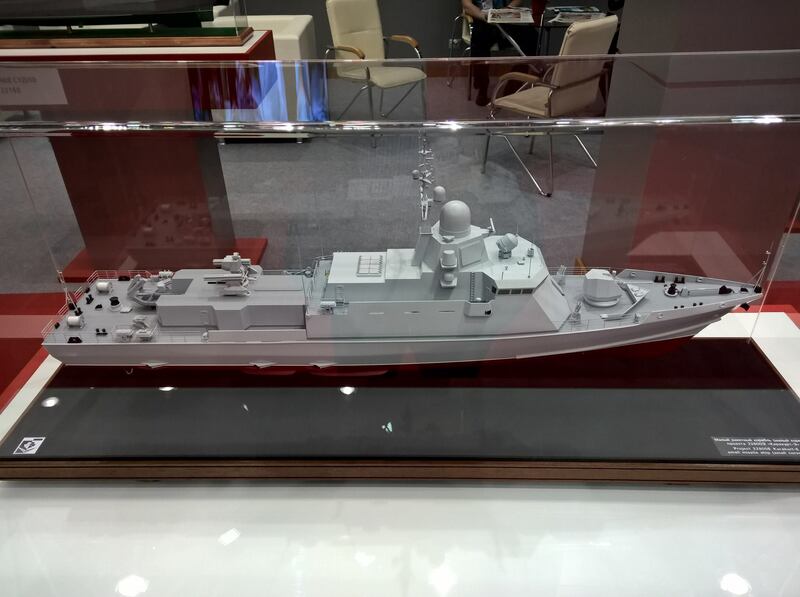 Here says that ordersof the Ministry of Defence on 19 small missile ships of the project 22800 have dramatically increased the demand for diesel-electric power plants of the St. Petersburg factory "Zvezda"
Lots of interesting details in that article. With 19 ships currently planned (& talks of eventual 30) they need 57 engines (= 3* per ship). So they are planning to bump staff from 400 to 600, got new machinery on the way expecting to significantly speed up production. Initially it was assumed that the ships will go only to the black sea fleet, but later it was decided to build them also for the Baltic and Pacific fleets. 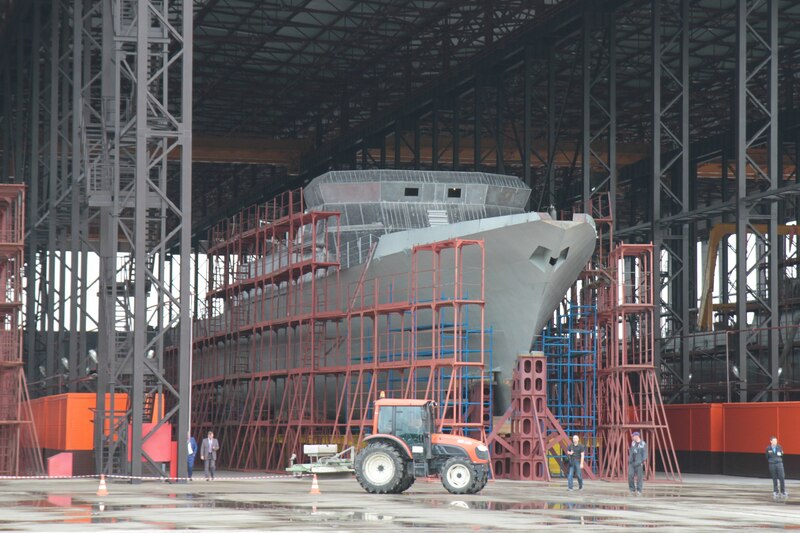 In addition, according to "Kommersant", the project is undergoing modernization in tsmkb "Diamond", then "Karakurt" going to do a missile strike groups consisting of four to five ships. "The essence of modernization is to replace the cruise missiles in the hull of a ship defense system. Anti-aircraft missile and gun complex "Armor-M" will close the sky that will make some ships 22800 a full-fledged missile strike group, similar to carrier strike group the U.S. Navy. 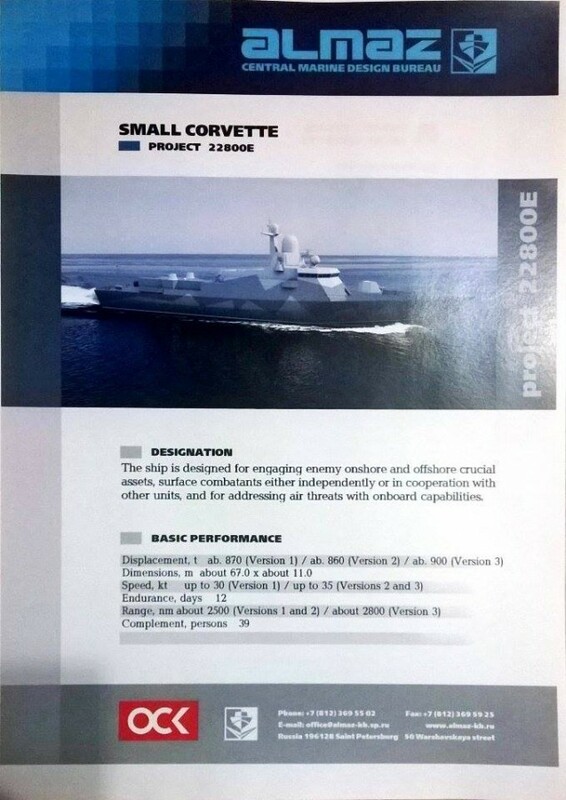 For example, of five ships, three will be armed with cruise missiles, and two would protect them"
Says replacing the UKSK with AA but then only talks about naval Pantsir. Either only 2 out of 5 will get the naval Pantsir, or they are talking about more significant AA eg Redut/Shtil-1 as well as the naval Pantsir ones. Also: With another 3* Buyan-M ordered at Zelnodolsk I wonder if they will still be getting 22800 orders or if they are keeping with Buyan-Ms to avoid disrupting the successful line? Over at Balancer forums they seem to be similarly confused about that wording whether they literally mean remove UKSK & add naval Pantsir or not literally add a Shtil-1/Redut launcher. So he thinks the Mineral (anti ship) radar is in the dome. 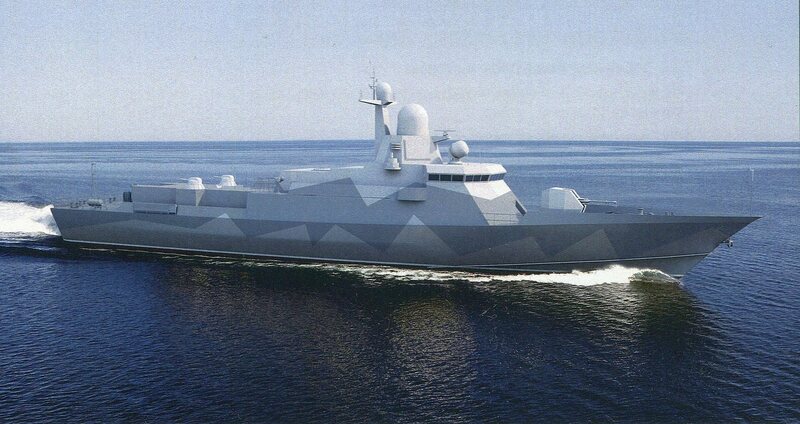 Centaur is apparently a short range fire control radar related to the Flexible/Palma/AK-630 on various recent ships. Guys would it be possible to slightly extend mid section to make room for Redut lunchers behind UKSK and fourth diesel engine to cope with extra weigh? Yes that would be possible why they would bother is another question do they really need Redut on this thing?. Pretty sure getting proper AA missiles & radar in will be amazing even if they cut not just the UKSK but naval Pantsir & the main gun. 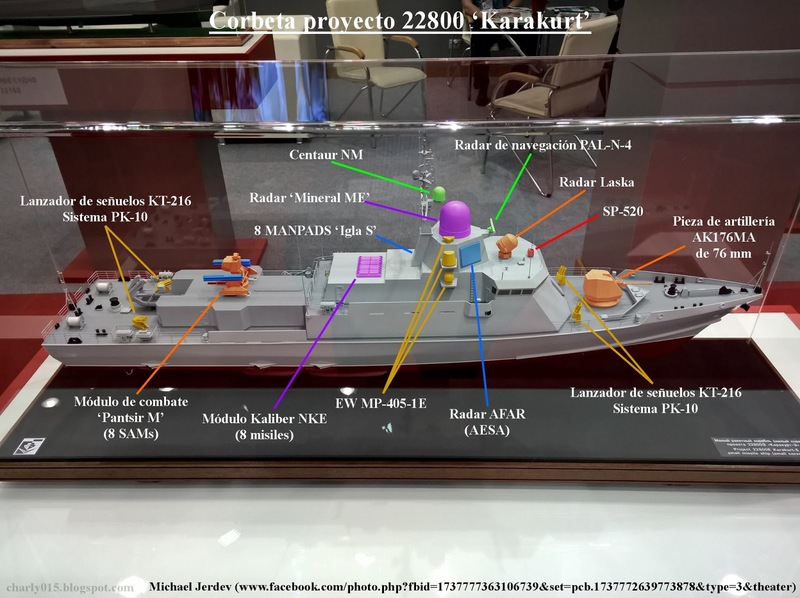 Google translate wrote: Construction of the first small missile ship (RTO) project 22800 "Karakurt" at the Zelenodolsk shipyard will begin this year, he told RIA Novosti on Friday, General Director Renat Mistahov. And hopefully they will have even more. Zelenodolsk is getting sh*t done. Pella too. Once frigate engine issue is put to bed it would be good to get Pella and Zelenodolsk into the frigate construction game. 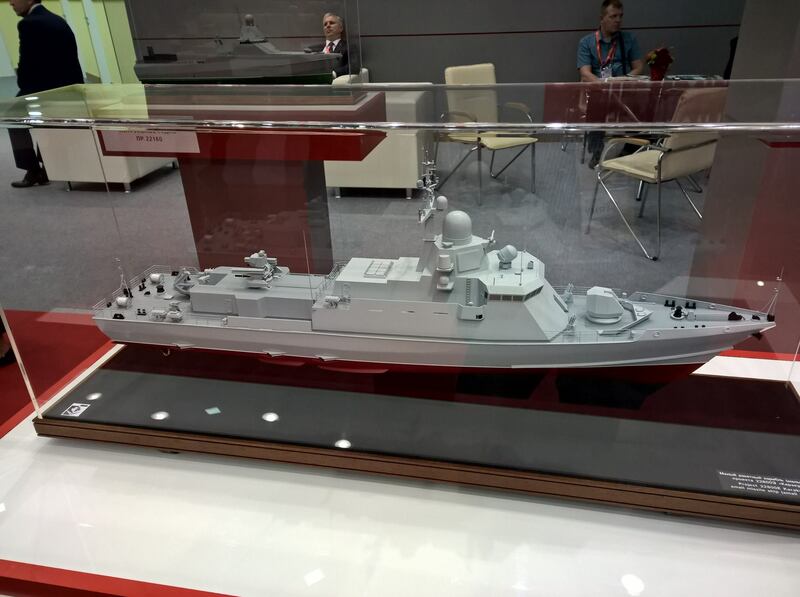 Imagine several shipyards competing which could build most frigates in allotted timeframe. That would be right approach. Zelenodolsk is size limited by the river/canal so I'm pretty sure they can't do anything like a 11356.
hoom wrote: Zelenodolsk is size limited by the river/canal so I'm pretty sure they can't do anything like a 11356. Don't know if they can do a 11356, but they have built the project 22100 that has a displacement of 2700 tons. But yeah, add 2* those in construction +2 expected to the list of work Zelenodolsk has. No way russia will have anyone mainly a NATO nation build a warship for them. Remember the French and Mistrals? most in russia even opposed that knowing it was a waste since the US would ensure they did not get the ships. Why only sign up for a round two? of the samething. 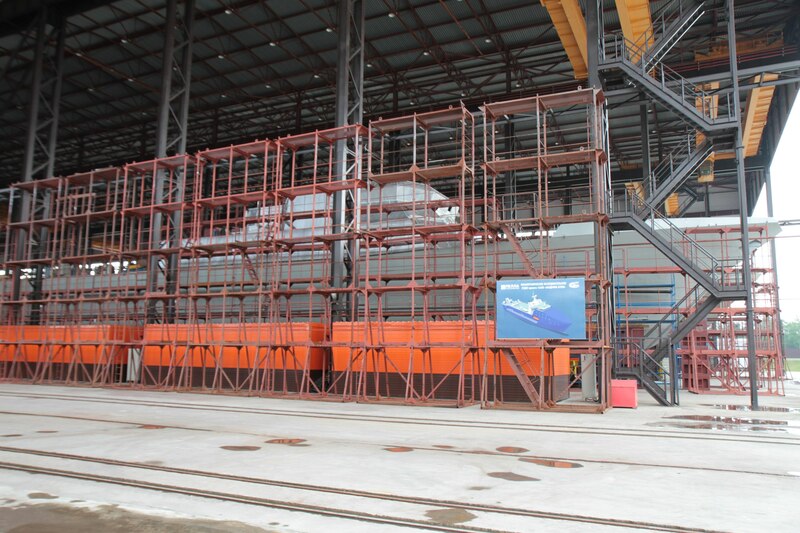 Those appear to have been taken during the Shkvall keel laying ceremony.